After the release of the Famicom in Japan, Nintendo partnered with JTB Traveleland Transportation Co., Ltd. to create a Famicom that could be used in hotels to rent game. They came up with the concept of the FamicomBox. 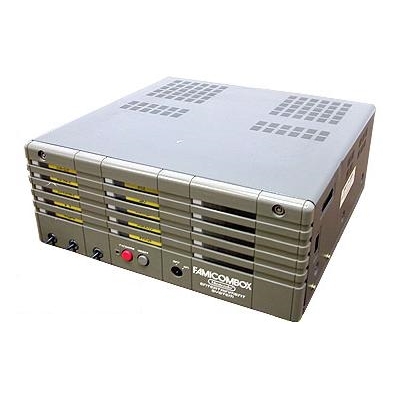 Released in 1986, the FamicomBox was a huge metal unit that can contain up to 15 Famicom games. The system was leased by JTB Traveleland Transportation to the accommodation for ¥2,350 a month on a five-year lease contract. The concept was simple: in order to play a game, you had to insert ¥100 piece in the coin box attached to FamicomBox. This would buy either 10 or 15 minutes of gameplay depending on the setting of the machine. The machine came with a set 10 games. Different set of games existed. Additional 5-pack games could be purchased for ¥35,000. To avoid the hotel management to use normal famicom games in the FamicomBox, Nintendo opted to use the Nintendo Entertainment System cartridge format instead Famicom one. 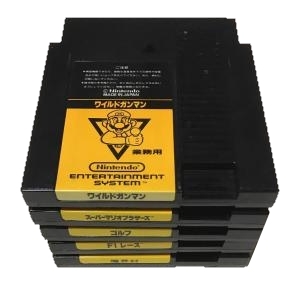 To differentiate these cartridges from the retail version, they were all black with a yellow label featuring Mario. The system also uses the North American controller and Zapper, possibly as they had longer cords than their Japanese counterpart. 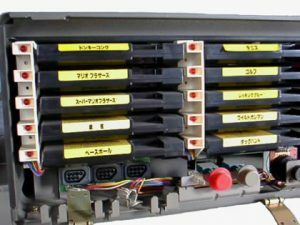 The FamicomBox also have another unique feature which is a third controller port. 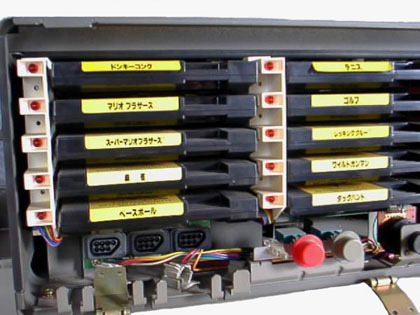 As the FamicomBox supported both two-player games and light-gun games, the device had a third controller port so that 2 controllers and a light gun could be connected at the same time. Around the same time, Sharp, which already had an existing partnership with Nintendo to produce Sharp Famicom device, released the Famicom Station. The Famicom Station has exactly the same hardware as the FamicomBox . 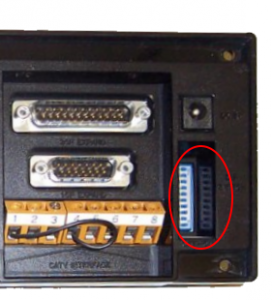 The only differences were a set of metal legs under the console and the uses of grey cartridges instead of black one. The label on the cartridges remained the same. The FamicomBox did pretty well for its time and his mostly obscure has it was a device for commercial use rather than home use. In 2002, there were still hotels in Japan offering the FamicomBox. There’s a total of 41 confirmed games for the console, but it is possible that others were released. The original list was posted by Kevtris alongside a detailed technical guide of the FamicomBox. 1 – Self-Test. Tests Hardware and check games, shows game titles at the end of working ones. 10 – Zapper disable / enable. When disabled, only the DB15 on the back can be used. How long each game play while in attract mode before switching to the next. 7 – OFF, 8 – OFF – “KEY MODE” – Requires the Key to be in the ON position in order to play.